If you’re in the market for vehicle graphics, you are one smart cookie. 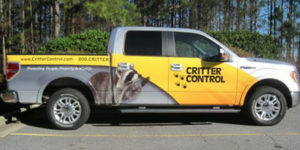 The benefits of vehicle graphics are well-documented and undeniable. With a high volume of exposure on busy roads, vehicle wraps are a great investment for any business. Unfortunately, vehicle wraps can be ineffective if they suffer from poor design. On the other hand, vehicle wraps that resonate make a huge impact on your brand. 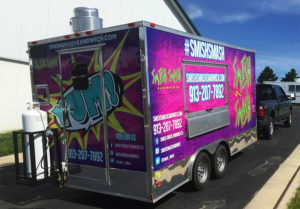 When coming up with the perfect design for your vehicle wrap, consider these tips. 1. Get inspired. In other words, know which direction you want to head in before you get your vehicle graphics. Have you ever seen a vehicle wrap with hard-to-read text on it? It might not have been the best-looking design—meaning it’s not one you would carry over for your own vehicle. Get ideas from great looking designs and apply them to your vehicle for the best result. Of course, you need to be original; do what will work best for your company and customers. 2. Consider your vehicle. Make sure to be conscious of your vehicle’s shape. For example, if your van doesn’t have windows, that’s a design aspect you can take advantage of. If you’re considering wrapping a pickup truck, you’ll have to plan around the bed of the truck for maximum results. 3. Have consistent branding. Getting new signage or graphics is a perfect time for transition if you’re looking to change your logo. From your website to your front door, you want your branding to be consistent so customers and clients never have a doubt or question about your business’ image. Have the same logo across the board so your brand is easily recognizable. 4. Communicate a message. You want your message to be clear and concise—especially since most of your exposure will be to people driving around town. You should not have paragraphs and a lot of text; you don’t want the design to be overcrowded. Have essential information like contact info easily readable from a distance; include a few words describing what kind of business you run. 5. Be bold. Yes, simplicity is key, but that doesn’t mean you can’t stand out. If your brand has a bright color, make your vehicle pop by making that color the crux of your design. For a bold design, have appropriate spacing and choose colors high in contrast from one another. The trusted team of signage professionals at Apex Signs & Graphics is the top choice for your vehicle graphics needs. Contact us today at 678-795-0775 or request a quote. For more on how business signage and graphics can boost your brand, connect with us on Facebook, Twitter, and LinkedIn.